We Offer Volume Discounts. Call Us On (02) 9482 4288. Superack frames bear the full load of the racking systems and are therefore critical to the overall system strength, safety and performance. The maximum permissible load as shown is based on the first beam level at 1372mm from the ground. Superack beam connectors are specially designed to increase resistance to sideways movement and effectively handle vertical loads. 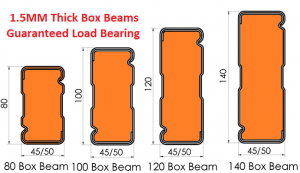 Each beam is supplied with 2 steel safety clips to ensure the beam is correctly positioned and prevent the beam from being accidentally dislodged.The maximum load per pair of beams is based on an evenly distributed weight loading and must never be exceeded. Our pallet racking is manufactured in ISO 9002 facilities and has the same consistent quality, stated material thickness and load ratings. 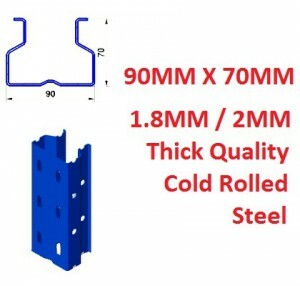 18mm industrial grade particle board is ideal for heavier loads and to avoid board sagging the use of front to back support bars is recommended (See pallet racking accessories). 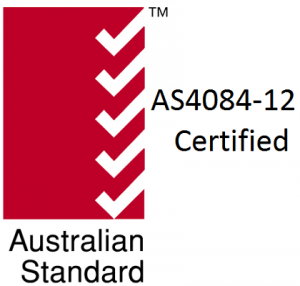 Our warehouses are based in Hornsby and Blacktown in the Sydney Region. We supply and install pallet racking to all regions in and around Sydney and Interstate.